The old way: Brands relied on third-party data providers like Acxiom, BlueKai and Facebook to tell them what to say, where to say it and who to say it to. The new way: Brands own their own data, first-party data. Some companies are using their customer data to disrupt markets—Nordstrom, IKEA and GE, to name a few—but anybody can do it. Nordstrom developed a ‘Reserve Online & Try In Store’ service that brings customers an easier way to shop, while allowing them to collect even more data about customer interests and shopping habits. GE places sensors on machinery like gas turbines and jet engines to help it identify how to boost productivity. All the data is collected and analyzed in-house. IKEA released an augmented reality tool. Using the IKEA app, customers get to see what a new couch would actually look like in their home and IKEA gets to see what people are thinking about buying. Why is this shift important? It’s pretty simple. The data you own is more accurate, more easily targeted to the individual (which we've talked about being key) and best of all, free. It’s all over the place. It’s in your CRM, your web analytics tools, your social channels, your billing and energy consumption systems, your apps, your customer experience team phone recordings and email conversations. 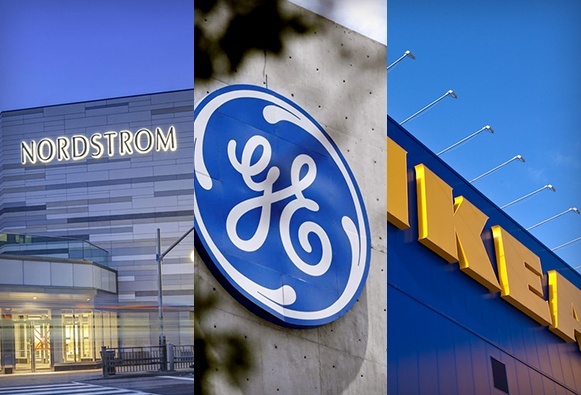 Four steps to becoming the Nordstrom, GE or IKEA of the energy world. 1. Look at your full list of email and postal addresses. 2. Now cross that list with your customers who have already completed the assessment process. Put this group into a new campaign focused on a more specific energy efficiency project, for example, lighting upgrades. 3. Now separate out the people who signed up for an audit but have not moved forward. Talk to them about where they are in their process—nudge them to action. 4. You’re left with a shortened list of customers who haven’t engaged. Cross this list with other systems you have and see what messages will resonate best with this group. You have data, but are you making the most of it? Most companies aren’t aware of the breadth of data they own, and then there are the companies that allow you to place a theoretical green couch in your very own living room. Which do you want to be? Not sure how to approach this? We’re here to help.